Protein imprinting is a promising tool for generating artificial biomimetic receptors with antibody-like specific recognition sites. Recently, protein-imprinted materials, as potential antibody substitutes, have attracted much attention in many fields, for example chemical sensors, chromatographic stationary phases, and artificial enzymes, owing to their long-term storage stability, potential re-usability, resistance to harsh environment, and low cost. In this critical review, we focus our discussion on the rational preparation of protein-imprinted materials in terms of choice of template, functional monomer, crosslinker, and polymerization format. In addition, several highlighted applications of protein-imprinted materials are emphasized, not only in well-known fields but also in some unique fields, for example proteomics and tissue engineering. Finally, we propose challenges arising from the intrinsic properties of protein imprinting, for example obtaining the template, heterogeneous binding, and extrinsic competition, for example immobilized aptamers. 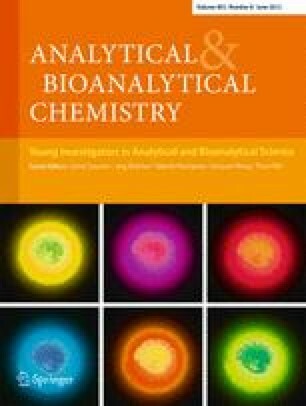 Published in the special issue Young Investigators in Analytical and Bioanalytical Science with guest editors S. Daunert, J. Bettmer, T. Hasegawa, Q. Wang and Y. Wei. This work was supported by the National Basic Research Program of China (2012CB910601), the National Nature Science Foundation (21005078 and 21027002), the Creative Research Group Project of the NSFC (21021004), the Innovation Method Research of MOST (grant 2010IM030500), the Knowledge Innovation Project of the Chinese Academy of Sciences, and the Opening Project of the State Key Laboratory of Polymer Materials Engineering (Sichuan University) (KF201104).